These Buffalo Chicken Strips are loaded with spicy Buffalo flavors. 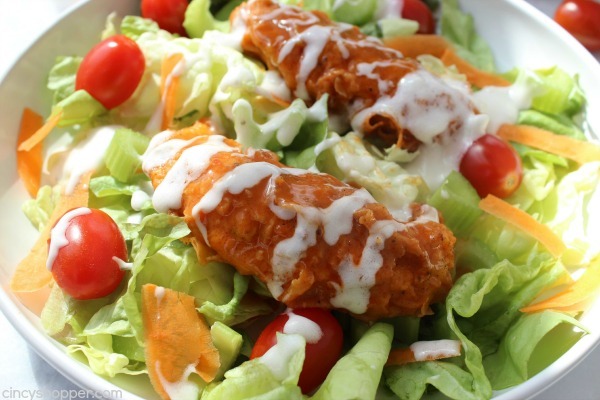 These Buffalo strips are perfect as an appetizer, on a sandwich, in a wrap or in a salad for dinner, lunch or snack. Buffalo Chicken Strips are one of the items that my family can not get enough of. All of them except the hubby of course, lol. He’s never been a fan of Buffalo Sauce. That silly boy just doesn’t know what he is missing. 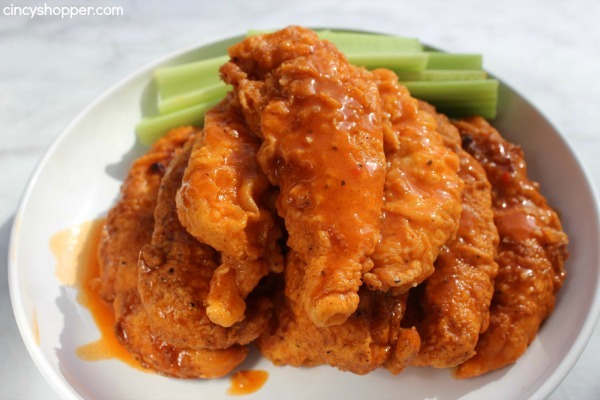 Since I grew up in upstate New York where Buffalo Wings can be found on just about every corner, I can’t live without my Buffalo Sauce. The only problem is I am very picky about my sauce. Here in Cincy it is difficult to find a good Buffalo wing or strip. I have found one place that the sauce is comparable to the sauce I enjoyed up north. 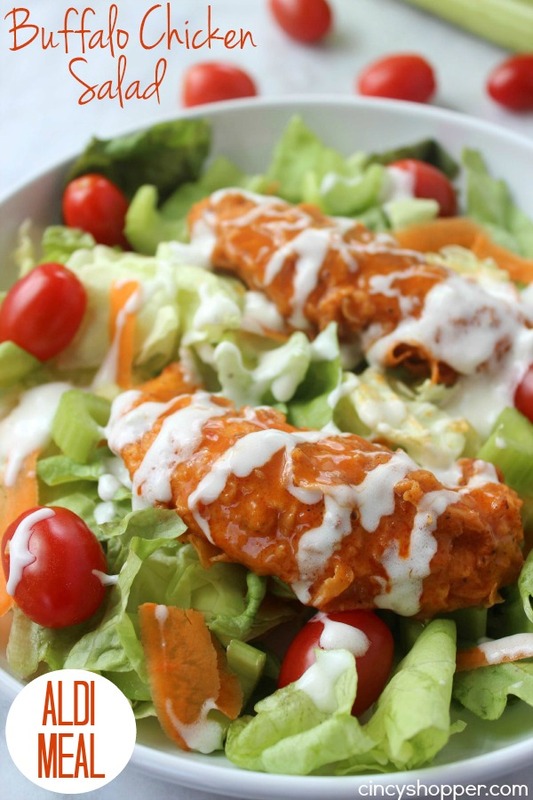 The next issue is feeding my kiddos Buffalo Chicken Strips or Wings from a restaurant can be EXTREMELY pricey. Since they are so expensive when ordering them from out, we do not enjoy them as often as we like. 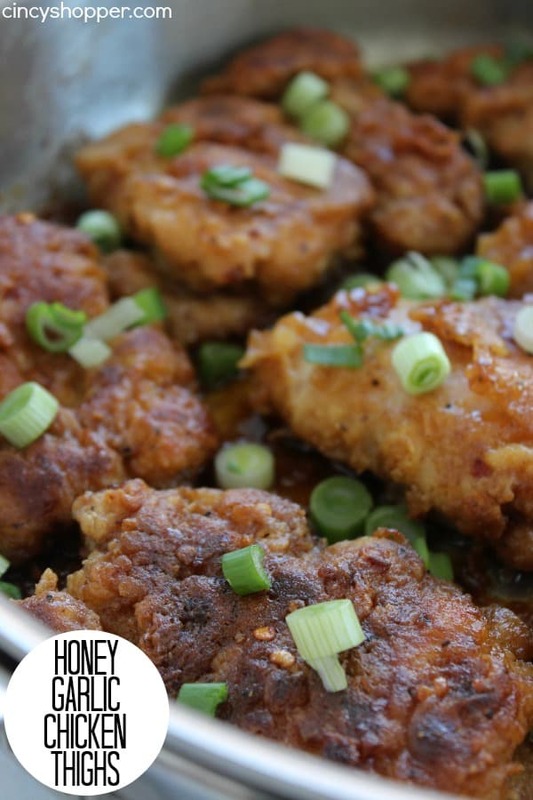 I shared our No Fry Buffalo Wings Recipe with you awhile back. The sauce is the same for these strips except for the brands used. Saving money on groceries is important to me. Feeding my large family can get so costly. 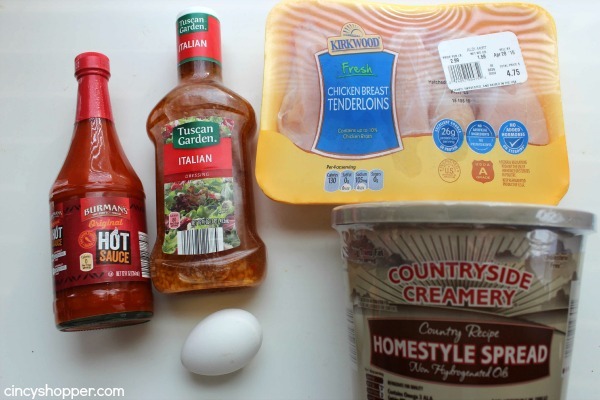 Having inexpensive meal ideas is a must for us. 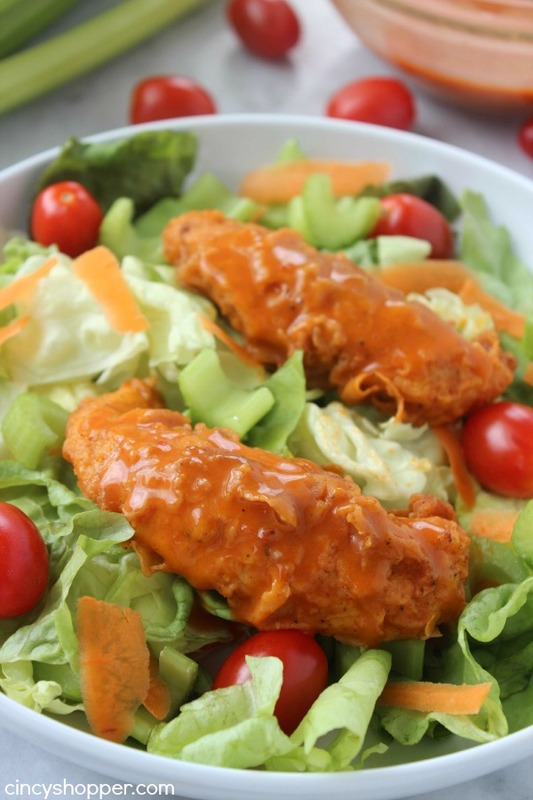 I purchased all of the items for this Buffalo Chicken Salad Meal at my local Aldi Store for just $12.11. I think this is a GREAT price considering I would have paid almost that much for one order of Buffalo Strips at a restaurant. 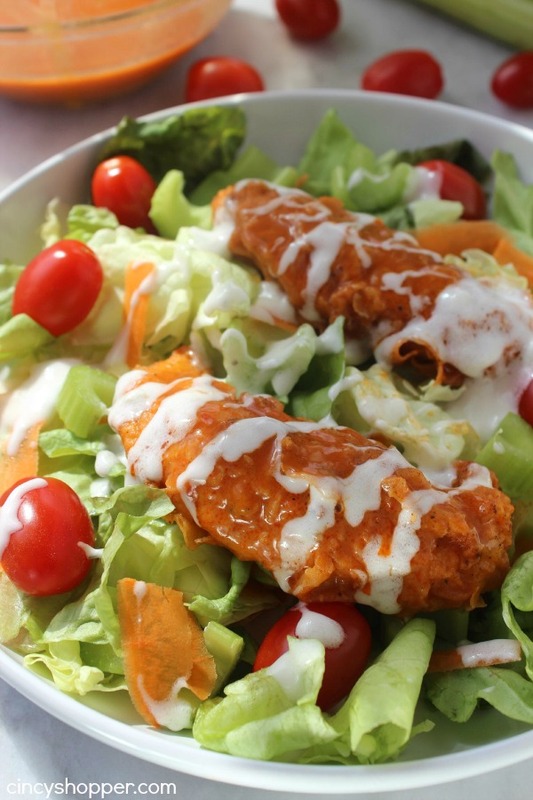 To save money and to make our meal a bit more healthy, I added our Buffalo Strips to a salad. This really stretches our chicken further. Plus since summer is just around the corner, I like to make light salads for dinner. I mentioned that all of the ingredients for this meal were purchased from Aldi. Over the next couple of months, I am planning to share a bunch of inexpensive Aldi meals with all of you. EVERYTHING for the meal will be bought from Aldi. Obviously you can purchase your items elsewhere, but I plan to challenge myself with creating unique and tasty Aldi Meals to help with our grocery budget. 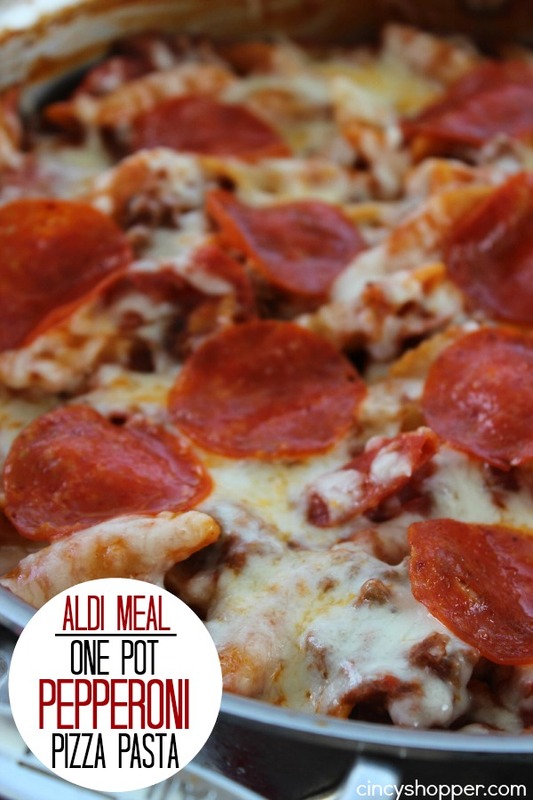 You can check out my previous Aldi Meals if you are looking for inexpensive meal ideas. The total price of this Aldi Buffalo Strips Salad Meal was $12.11. Plus it served my large family. Obviously I did not include pricing for basic staples that should be found in your pantry. The ingredients for your meal are so simple. I used Chicken Breast Tenderloins but you could use chicken breasts too! Your dunk (that’s what I call it, lol) is basic seasonings that you hopefully have in your cabinets already. 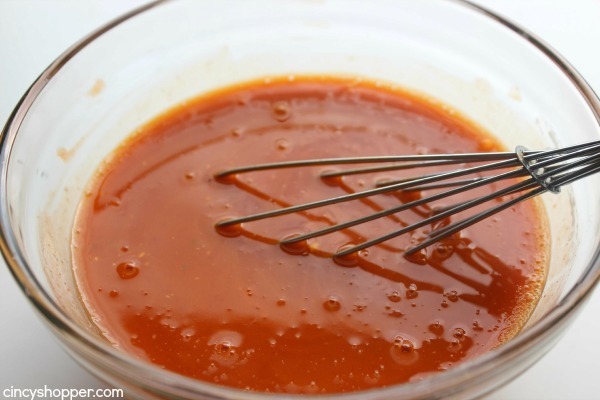 The hot sauce, Italian dressing and margarine are what really make the sauce so tasty. 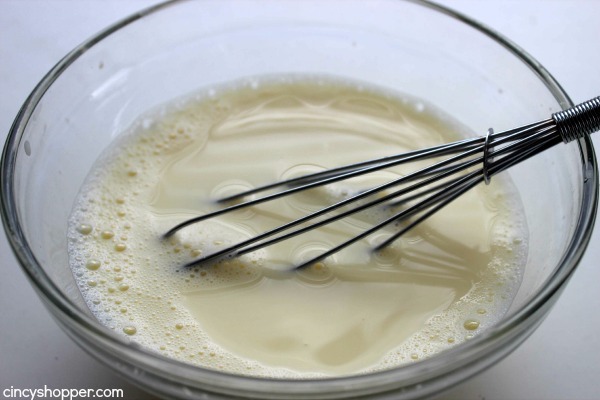 The wash for your chicken is so simple to make and works amazing! 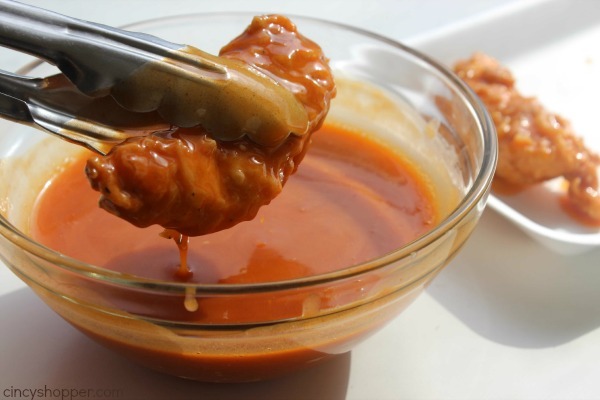 The sauce is so simple but is just like the sauce used in wing houses. I will normally use Franks Red Hot in my homemade Buffalo sauce but the Aldi brand Berman’s tasted very similar and great. 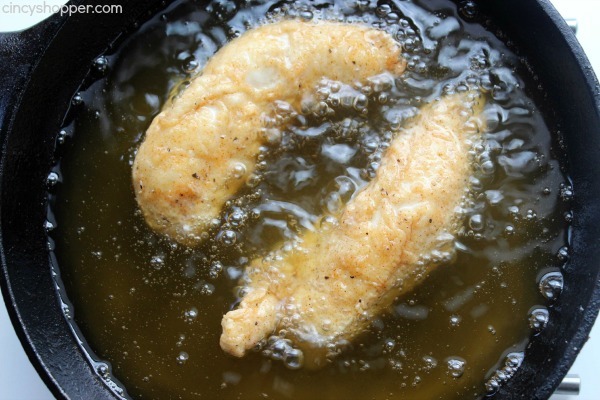 Frying up these strips is so simple and only takes a few minutes. They come out with quite a bit of crisp. We had quite a bit of extra sauce which was perfect for re-drizzling and dunking for the non-salad eaters at my house. 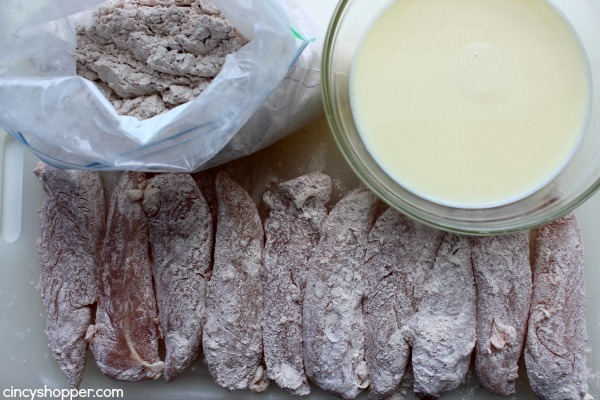 I am looking forward to making our own Buffalo Strips at home more often. I going to put them in some wraps with lettuce and cheese next time. I think that would make for a light dinner idea this summer. This recipe will also be great for making Buffalo Sandwiches. 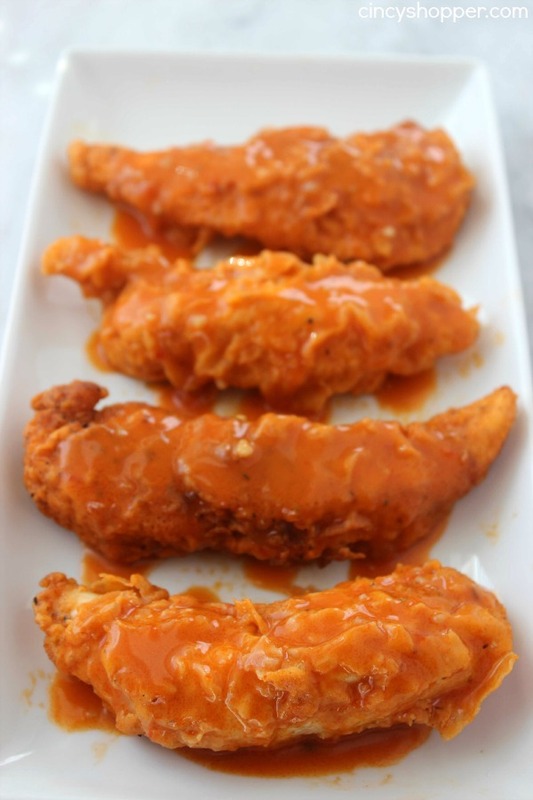 If you are a fan of Buffalo sauce, do you prefer your sauce on wings, strips, breasts or bites? Do you NEED to have celery with yours like I do? Pour enough oil in a skillet to fill 1" deep. OMG! This recipe is delicious! Also from the Buffalo, NY area, I am obsessed with wings. So are my teenagers…. 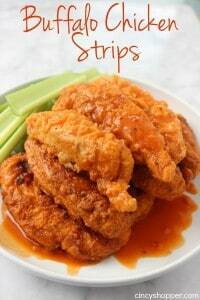 I made this using chicken breasts sliced into strips, double dipped and followed your recipe using Pete’s Hot Sauce. I loved the spicy kick. 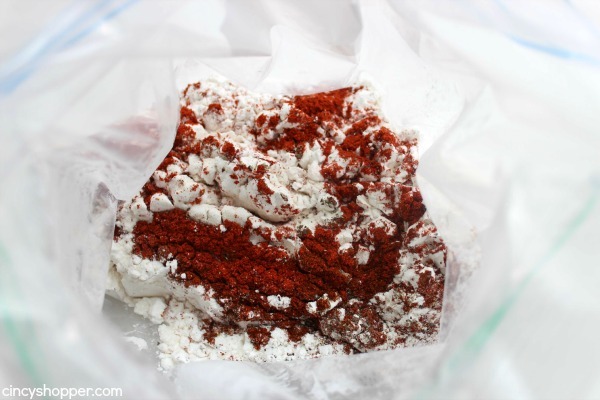 I would also suggest using white pepper in place of black…for some wonderful heat. This is a KEEPER! Thank you!